When you stand in front of the mirror, without makeup and under some good lighting, what do you see? If you are among those with spotless skin and great genes, you are oh-so-lucky. 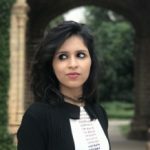 But if your skin is anything like the rest of us, which harbors visible pores filled with dirt, or in other words, blackheads, all I can say is that there is still hope. This article lists the best home remedies that will show you how to remove blackheads from nose at home. What Causes Blackheads On The Nose? Blackheads are tiny, dark bumps caused by clogged hair follicles. They may appear on your nose, chin, chest, back, and shoulders. Excessive production of oil by the sebaceous glands. Build-up of acne-causing bacteria on your skin. Accumulation of dead skin cells, which leads to the irritation of your hair follicles. Hormonal changes during menstruation or while you are on birth control pills, which leads to increased oil production in your body. Medications like corticosteroids and androgens. Steering clear of blackheads seems close to impossible, isn’t it? Well, you can control and reverse these effects with the help of some simple DIY home remedies. Listed below are 10 remedies that can help in getting rid of the problem right from the root. beat them in a bowl with two teaspoons of lemon juice. Apply a thin layer of this mixture around your nose, focusing more on the areas with blackheads. Allow the first layer of the mixture to dry and then place a tissue over your nose. Apply a second layer of the mixture on top of the tissue and allow it to dry. You may go ahead with a third layer if you have too many blackheads. Once dried, you can pull off the layered tissues from your nose, along with all the blackheads. 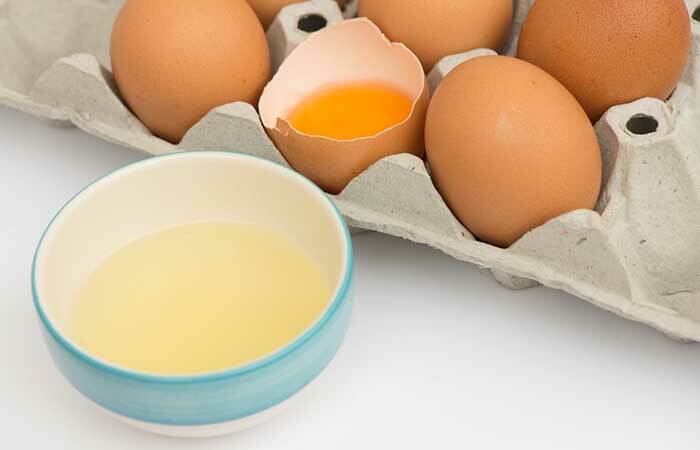 Wash your face thoroughly to get rid of the raw smell of eggs. You can apply this mask twice a week. The hardened egg whites stick to the pores of your skin and help in pulling out all the dirt, along with the blackheads. They also help in shrinking the pores, which tightens your skin and prevents the formation of blackheads (1), (2). Apply this mixture to your nose. You can also apply it to the entire face. Leave it on for 10 to 15 minutes and wash it off with lukewarm water. You must apply this face pack 2 to 3 times a week for best results. 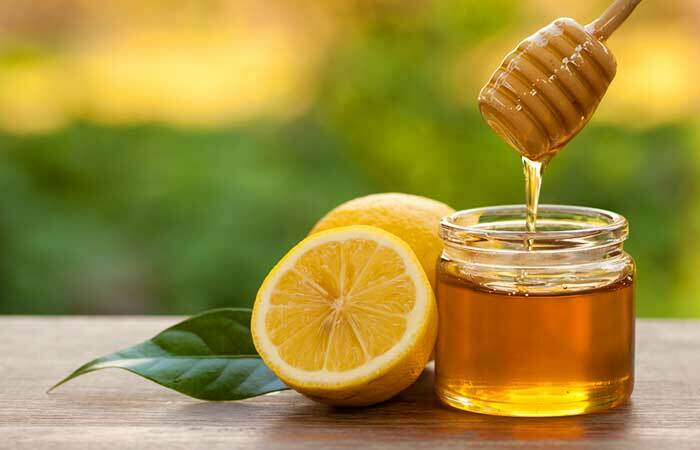 The combination of honey and lemon has been in use since ages to treat a variety of skin problems. While the lemon helps lighten your skin and tighten the skin pores with its astringent properties, honey is antibacterial and can fight the acne and blackhead-causing bacteria (3), (4). Mix a teaspoon of toothpaste with a teaspoon of salt. Apply this mixture to your nose and allow it to dry. Once dried, wet your fingers and gently massage your nose to remove the toothpaste mixture. You must follow this procedure 1 to 2 times a week. 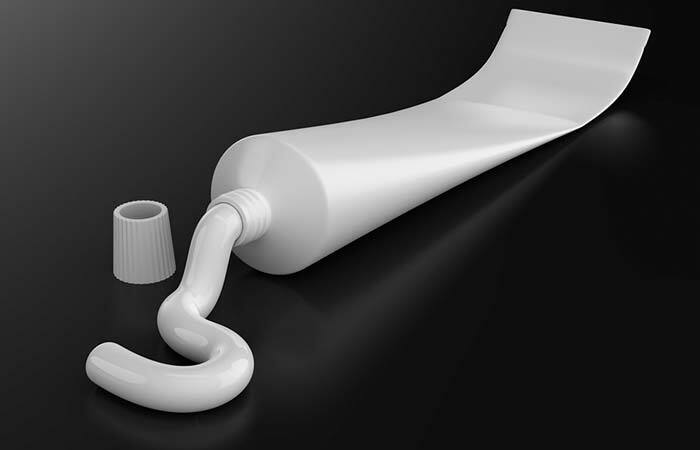 Toothpaste helps in getting rid of the oil build-up on your skin. Using salt with toothpaste helps exfoliate your skin, sloughing the dead skin cells that can trigger blackheads (5). 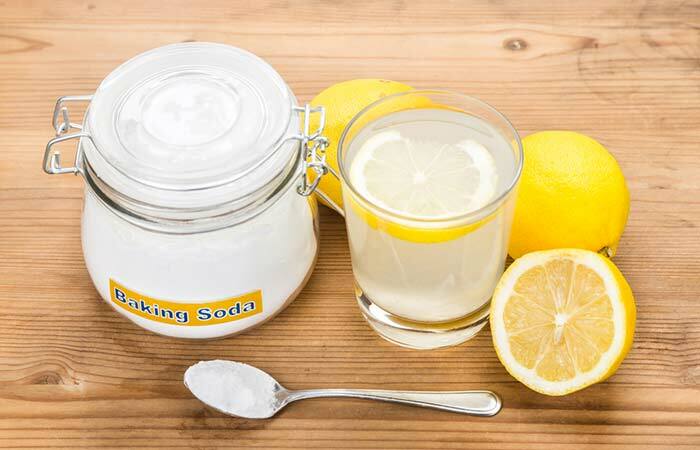 Mix a tablespoon of baking soda with enough lemon juice to form a thick paste. Apply this mask on your nose and let it dry. You can also apply this paste to the entire face. Baking soda has exfoliant properties and hence can help in getting rid of the dead skin cells that can clog the pores and form blackheads. Adding lemon juice to baking soda helps in tightening your skin pores, thus preventing the formation of blackheads (6), (7). Take a big bowl of steaming hot water and bend over it. Cover your head with a clean towel and stay put for at least 5 minutes. Wipe your face with a towel and try and extract your blackheads with it. The steam helps in opening the pores on your face, making it easy for you to remove the blackheads (8). Mix the gelatin with the milk and heat it for 10 to 15 seconds in a microwave or saucepan. Do not boil. Apply this mixture to your nose. Allow the mask to dry for 30 to 40 minutes. Peel the mask gently from its edges. You can do this 2 to 3 times a week. 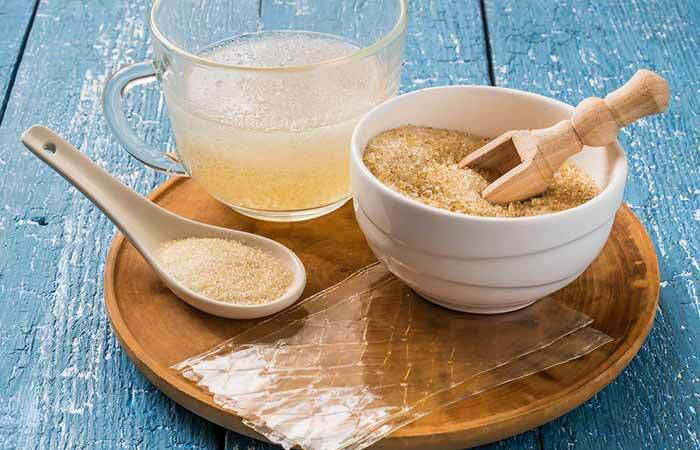 Gelatin is packed with nutrients and helps in your skin’s regeneration process. It also has firming and skin tightening properties that help in the removal of dirt and blackheads from the pores (9). Adding milk to gelatin helps in balancing the pH of the skin and also controls excessive production of oil. Massage your nose with aloe vera gel. Allow it to dry and then wash it off with lukewarm water. You must do this at least twice daily. 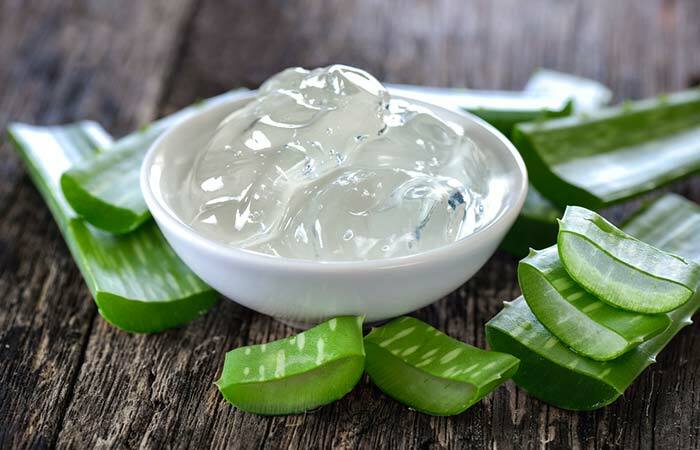 Aloe vera has natural healing properties that are used to treat a wide range of skin ailments. It has natural astringent properties that can help in tightening the open pores and this, in turn, prevents the formation of blackheads (10). Add a tablespoon of gelatin to two tablespoons of water and heat it for 10 to 15 seconds. When the gelatin paste thickens, add half a teaspoon of activated charcoal and mix well. Apply this paste to your nose and allow it to dry. 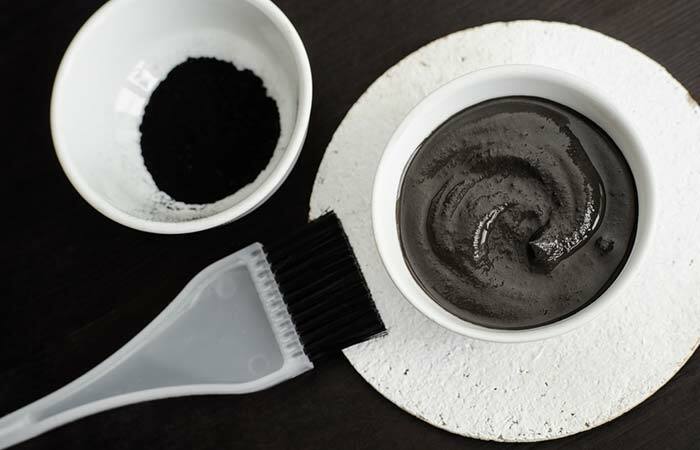 Peel the dried charcoal mask from your nose and wash your face thoroughly. Apply this mask 1 to 2 times a week. Activated charcoal not only absorbs the excess oil but also helps in shrinking the skin pores. The absorbent properties of charcoal loosen the dirt and debris clogging the pores, thereby making the removal of blackheads a lot easier (11). Wash your face with warm water and then apply a little non-toxic glue to your nose. Peel off the glue from your nose, and watch your blackheads come along with the dried glue. You can do this twice a week for optimum results. The glue acts in a fashion similar to blackhead removal strips. It sticks to all the dirt and debris inside the pores and pulls them out. 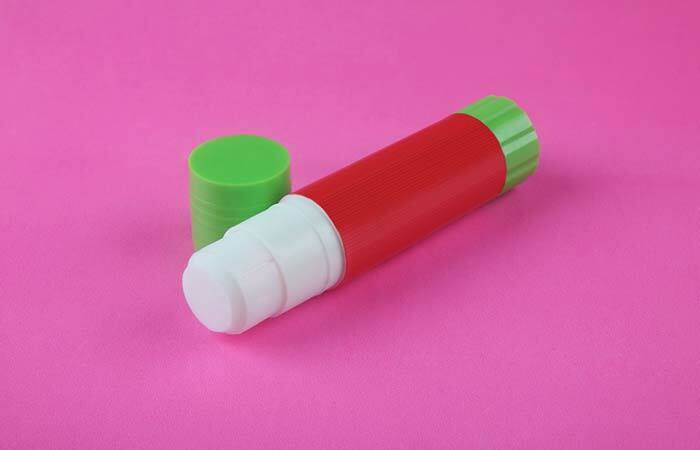 However, you must make sure that you are using a non-toxic glue as some ingredients in the glue could cause allergy. Take a blackhead removal strip and stick it on a slightly wet nose. Make sure that it covers most of the blackheads. Allow it to dry for 10 to 15 minutes. Pull the strip off gently, starting from the corner. You can use blackhead removal strips once a week. This is an excellent method to remove blackheads. The debris and dirt in the clogged pores stick to the strips, which makes it easier to pull them out (12). Do not use these strips if you have sensitive skin or are on topical medications like tretinoin. Once you succeed in getting rid of the stubborn blackheads, take the following precautions to make sure that they do not reappear. Use a mild cleanser to clean your face at least twice daily. Avoid washing your face too often. Always take a shower after a rigorous workout session. Change your pillow covers regularly. Follow a healthy diet that consists of a lot of fresh fruits and vegetables. 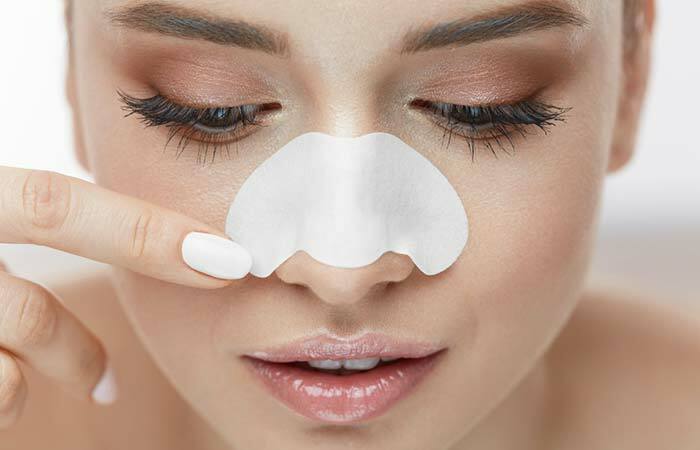 These remedies will surely make the removal of blackheads much easier. So, the next time you have blackheads, you know what to do to get rid of them. If you have any other hacks up your sleeve, please share them with us in the comments box below. 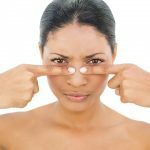 What is the right treatment for open pores? The first step to treat open pores is to follow a good skin regimen. Use a mild cleanser to keep your skin clean. Also, apply a good natural astringent to shrink all your pores. Exfoliate your skin at least once every week to close open pores. How do dermatologists remove blackheads? Dermatologists usually use a tool called comedone extractor to remove blackheads. However, the best and easiest way to get rid of blackheads is to exfoliate your skin regularly. Do nose strips actually remove blackheads? Nose strips do remove blackheads, but only the outermost part. You require a deeper cleanse to get rid of the blackhead from its roots. How To Treat Chin Blackheads? Are Pore Strips Bad For Your Skin?